If you or your company is under investigation by the Federal Bureau of Investigation (FBI), we are here to help. Our law firm is comprised of nationally recognized defense attorneys and former federal prosecutors who have decades of experience on both sides of FBI investigations. While most individuals and companies do not expect to garner the attention of the Federal Bureau of Investigation (FBI), FBI investigations are more common than you might think. From healthcare fraud to cybercrimes, the FBI investigates a wide variety of civil and criminal matters nationwide. At the Oberheiden, P.C., we have extensive experience in representing individuals and corporate clients in FBI investigations; and, if you are under investigation, we will work relentlessly to help you avoid facing federal charges. With its headquarters in Washington D.C., the FBI has 56 field offices in major cities and 360 smaller offices, called “resident agencies.” At Oberheiden, P.C., we handle FBI investigations involving all types of serious federal allegations nationwide. When facing an FBI investigation, you need to be smart. By the time you find out that you are being investigated, the FBI has already done a significant amount of legwork in your case, and this means that you are starting out at a disadvantage. To level the playing field, (i) you need to take steps to protect yourself, and (ii) you need an experienced legal team to represent you in communications and negotiations with the FBI and the DOJ. The following are some of the preliminary steps that you need to take (and some common mistakes you need to avoid) when facing an FBI investigation. This should not be construed as legal advice. For legal advice tailored to your individual circumstances, contact us to schedule a free, confidential consultation today. Get Proactive about Your Defense. Once you learn that you are under investigation, it is time to take action. There are things you can do to affect not only the course of the FBI’s investigation, but the outcome as well. But, this requires taking a proactive approach – not sitting back and waiting to see what the FBI does next. If you do nothing, there is a good chance that you will face federal charges, which will expose you to severe civil and criminal penalties (including possible jail time for a criminal conviction). Hire Experienced Legal Representation. The best thing you can do to get proactive about your defense is to quickly hire experienced legal representation. You want to hire a lawyer now, not after you get charged with a civil or criminal offense. Read below for tips on choosing the right legal representation for your FBI investigation. Keep Your Mouth Shut. You should not discuss the investigation with anyone – not your employees or coworkers, not your friends or neighbors, not your family, and not the FBI’s investigators. Anything you say truly can be used against you, and to avoid compromising your defense it is best to let your attorneys do the talking. Understand What is at Stake. The penalties you are facing will depend on the specific offense for which you are being investigated. But, suffice it to say that the penalties in most federal cases are severe. In a civil fraud case, for example, you can face triple damages, five-figure fines for each fraudulent transaction, and numerous other financial consequences. If your FBI investigation results in a criminal indictment, you could face hundreds or millions of dollars in fines and years – if not decades – behind bars. Learn What to Expect During (and After) the Investigation. When you are facing a federal investigation (and the possibility of a federal prosecution), it is important to understand what you can expect as your case progresses. For a brief overview of the federal criminal process, we encourage you to read: Charged with a Federal Crime? What You Need to Know. 1. You have the right to protect yourself. When facing an FBI investigation, many people incorrectly assume that they are required to comply with the Bureau’s requests for records and information. This is not the case. You have the right to protect yourself, and this includes not voluntarily disclosing information that might be used against you in plea negotiations or at trial. 2. You have the right to be free from unconstitutional searches and seizures. Among the most fundamental protections in the U.S. Constitution are the protections against unlawful searches and seizures. In most cases, this requires a warrant in order to conduct a search or seize property in connection with an FBI investigation. If the federal government violates your Constitutional rights, any evidence obtained in violation of your rights will be deemed inadmissible in court (although, excluding inadmissible evidence requires the knowledge and skill of an experienced defense attorney). 3. You have the right to experienced legal representation. Importantly, you have the right to experienced legal representation throughout the course of the FBI’s investigation. Again, you do not want to wait until you get charged to speak with an attorney. By getting an attorney on your side early (or, preferably, a team of nationally recognized defense attorneys and former federal prosecutors), you can protect your rights, intervene in the investigation, and potentially avoid facing charges altogether. Experience in FBI Investigations. You wouldn’t trust an orthopedic surgeon to perform a heart transplant, so why would you trust a lawyer without FBI experience to represent you in your FBI investigation? Different attorneys center their practices in different areas, and it is important to put the right experience on your side. This means choosing a law firm with attorneys who have extensive experience representing clients in FBI investigations. Experience Inside the Government. You also want to choose a law firm with attorneys who have experience inside the government. Former federal prosecutors know the government’s tendencies and strategies in investigations, and they can use this inside knowledge to your advantage. Knowledge of the Issues Involved in Your Case. Beyond experience in FBI investigations, you also want to choose a law firm with specific experience handling your type of case. For example, if you are being investigated for healthcare fraud and your attorney knows nothing about the Medicare billing system, you are going to have to spend a lot of time (and money) getting him or her up to speed. A Comprehensive Team Approach. Ideally, you want a team of attorneys on your side. This does not mean that it will cost more to defend your investigation, but it does mean that you will benefit from the best that each attorney on your team has to offer. A Record of Successful Representation. Of course, the true measure of an attorney’s effectiveness is his or her track record. While past outcomes do not guarantee future results, you can learn a lot about an attorney’s ability to represent you based upon how his or her clients have fared in the past. Oberheiden, P.C. is a team of senior defense attorneys who have decades of experience in federal investigations. This includes securing favorable outcomes for clients all over the country, as well as prosecuting cases involving FBI investigations. 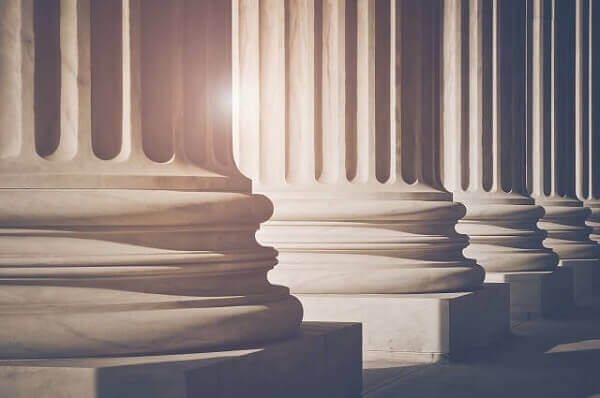 In fact, several of our attorneys are former federal prosecutors, and our unique team approach affords our clients the benefit of all of our attorneys’ collective experience. Experienced Legal Representation for FBI Investigations | Oberheiden, P.C. To speak with our senior attorneys about your FBI investigation, contact us today and request your free, confidential consultation. We are happy to help you understand your situation; and, if you choose to work with us, we will take aggressive action to intervene in the FBI’s investigation, get answers to the critical questions about your case, and build a defense strategy designed to protect you against facing federal charges. If you are being investigated by the FBI, you do not have time to waste. Call (888) 356-4634 or submit our online consultation form now.